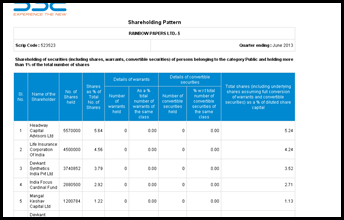 In the last 3 quarters we have seen LIC buying stakes in certain midcaps which may not have long track record or credentials. 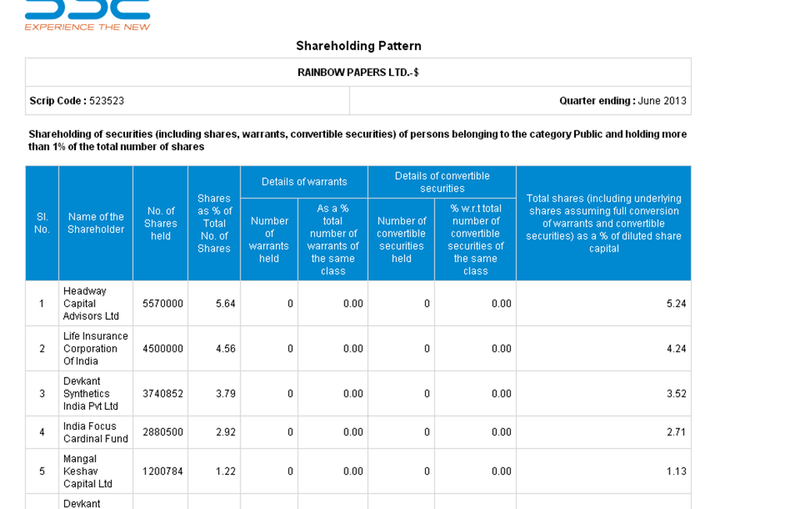 This is the shareholding of Rainbow Papers. 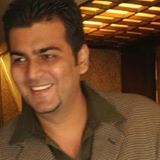 Will be putting up a detailed post in the evening. Such stake buys are nothing new and going on for decades. Leads to drop in the following stocks some time. So if you hold above two stocks then be careful. Textiles Sector Run up – What next – Is it a start or an End ?